If you want to avoid the need for a skip license why not use our Wait and Load service. If you need a skip in Lambeth, you will need to apply for a skip license at Lambeth council offices in Brixton. 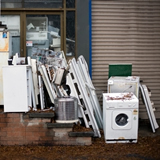 By using our competitive wait and load service you can bypass the bureaucracy and avoid the need for a skip Licence.We collect private residential builders waste as well as commercial waste . 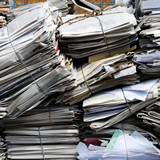 We also collect office waste and have discounted rates for clean recylable rubbish. We load and remove garden waste. SouthWest London rubbish removal prices .